I got a lot of questions about how I made my sugared rosemary sprigs, so I wanted to share the recipe with you today. 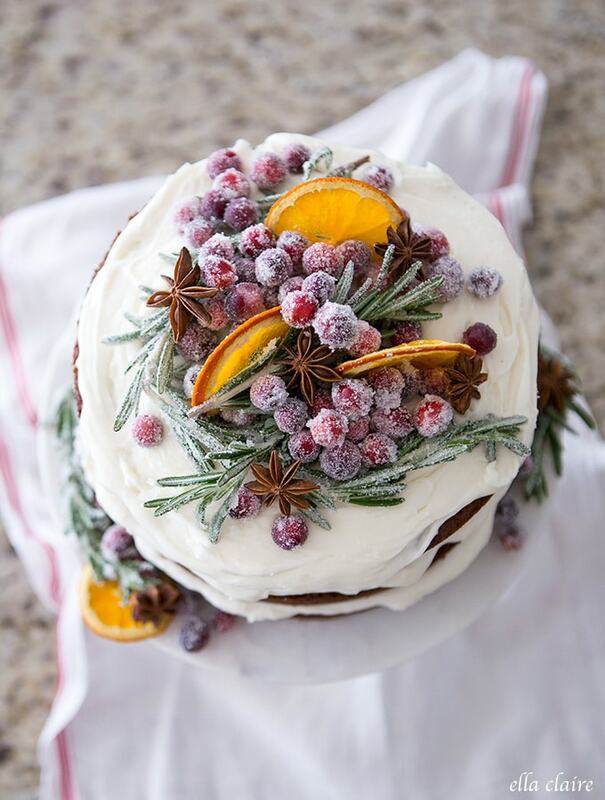 They are such a pretty and classic way to decorate cakes and baked goods during the Christmas season. 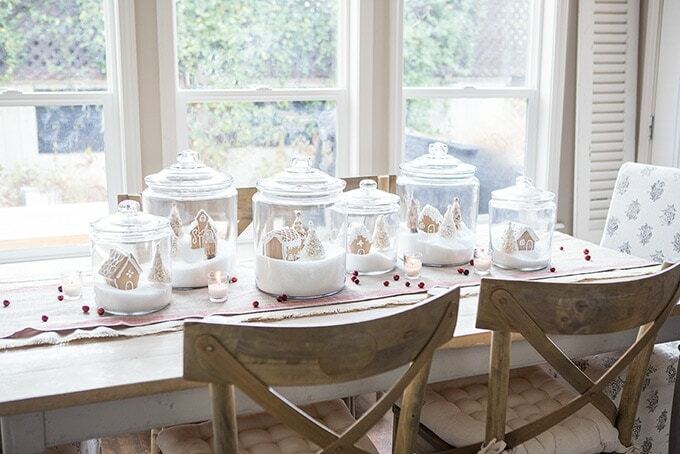 They are so sparkly and festive and they would also be a beautiful addition to holiday drinks, place settings, or even used to decorate tablescapes. I added them to garnish our gingerbread cake with cream cheese frosting (recipe here), but there are so many possibilities. The best part- they are so easy to make! 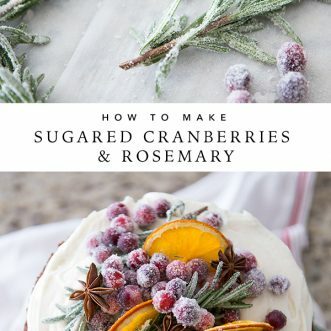 I shared how to make the sugared cranberries in a post last year (here), and this sugared rosemary sprig recipe is just a variation of that. You really can’t mess it up and it takes no time at all. One thing to note is that they are much easier to use if you wait until they are dry… or at least mostly dry. 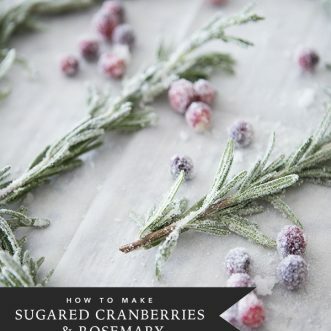 It isn’t mandatory, but more of your beautiful sugar will stay on the sprigs if you don’t handle them until they are dry. In a medium saucepan, combine water and 1/2 cup sugar, stirring over medium heat until sugar dissolves. Do not boil. Remove from heat and stir in rosemary sprigs, one or two at a time until coated. 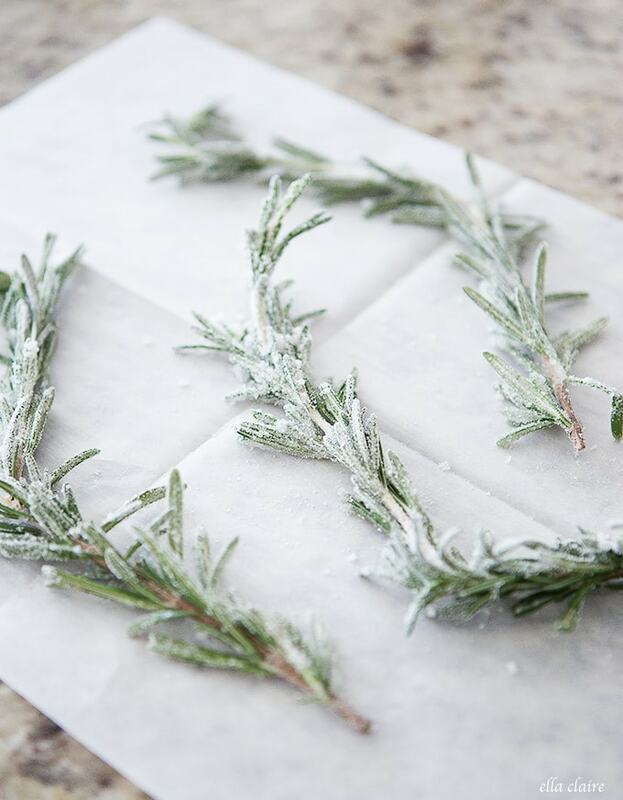 Using a slotted spoon, transfer rosemary sprigs onto parchment paper or a wire rack. Let dry for one hour. 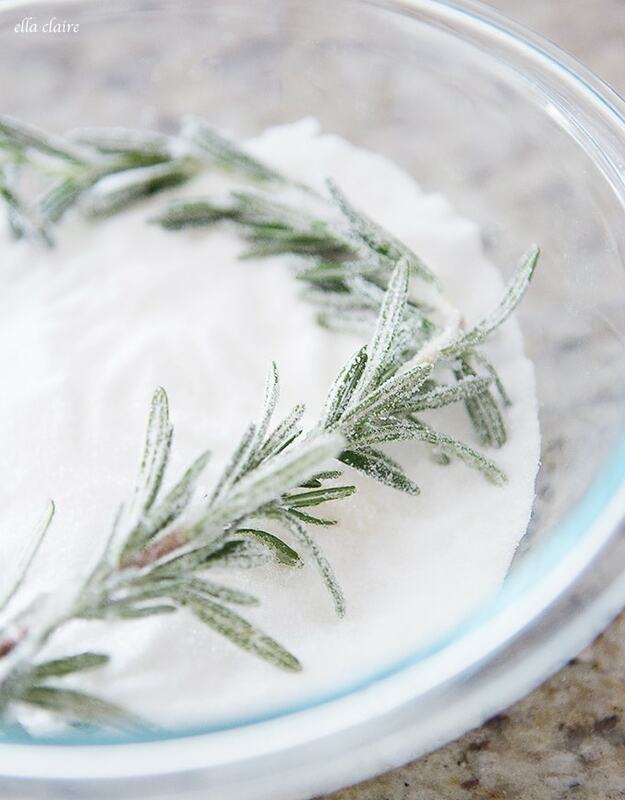 Working a few sprigs at a time, roll the rosemary into the remaining sugar until well coated. If rolling proves challenging, spoon sugar over rosemary sprigs until covered. 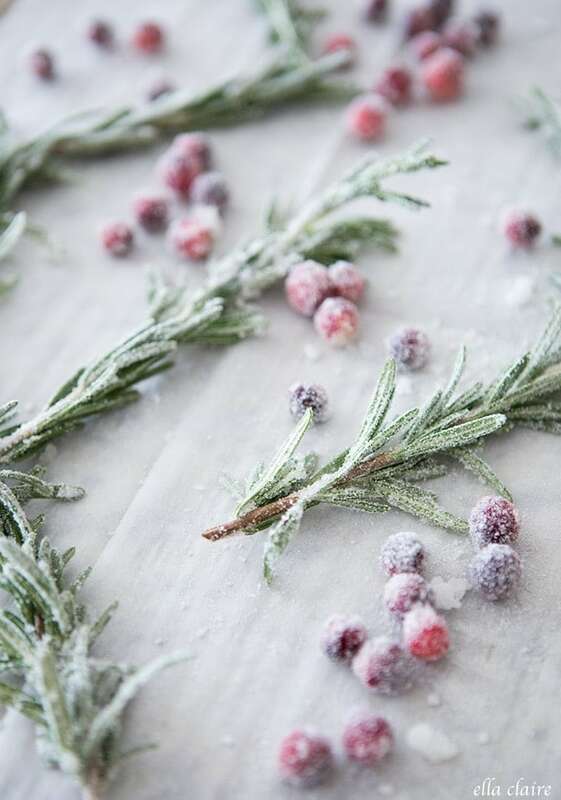 Place sugared sprigs on a new sheet of parchment. Let dry completely- at least an hour- before using. Sorry, didn’t turn on email notifications.